Follow Start > All Programs > DVDVideoSoft > Programs > Free Disc Burner or just click the DVDVideoSoft Free Studio icon on the desktop. The interface is very simple and self-explaining. There is a field for input files and the size bar which indicates occupied/free disc space. Click one of the buttons above the input area to add files, folders and/or images to burn. 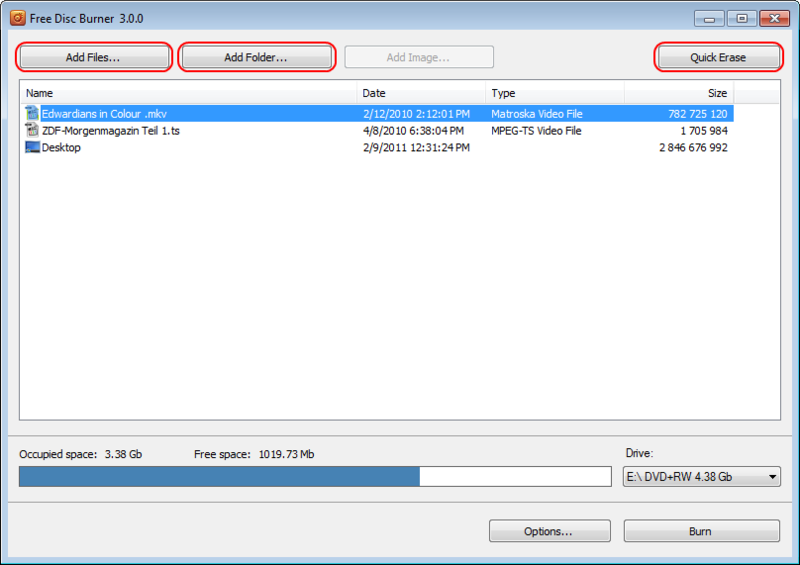 If you want to clean your disc before burning files, click the Quick Erase button. The size bar below indicates occupied/free space of the disc. Click the Burn button and wait a little. 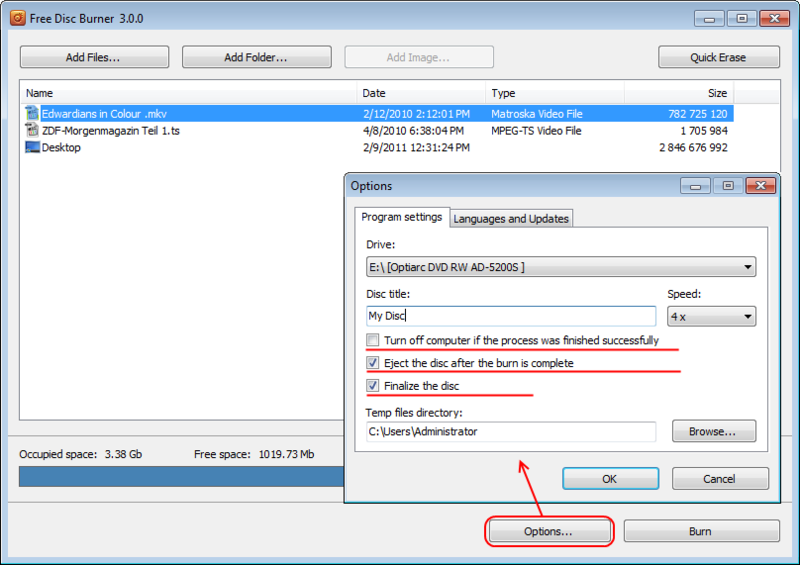 You can specify Disc title, change burning speed and temp files directory, set "Turn off computer if the process was finished successfully" and Disc ejecting function as well as Disc finalizing function. Moreover you can choose a file system: ISO9660, Joliet or UDF. Besides in the Options window you can change program's language and check for updates.